Is your lawn a little lackluster? Even after you install new sod and other landscaping elements, continuous maintenance is required to ensure your new lawn and plants maintain their appeal and their health. 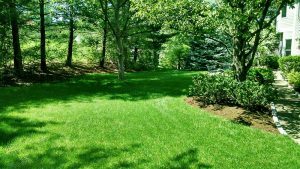 The professionals at Lawn Systems take pride in offering a range of fertilization services that ensure you have the lawn you desire season after season. Our fertilization program can end up saving you money by eliminating weeds and grubs, as well as reducing winter’s harmful effects. Ensure your grass grows green by signing up for our fertilization program, which consists of an early spring pre-emergent treatment, pre-emergent herbicide treatment, weed control application, grub control application and finally a winterization application. In addition to our application services, we offer full-service seasonal fertilization programs in the Spring, Summer, and Fall, as well. 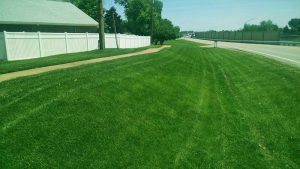 We also provide all of your yard renovation needs, with services such as core aeration, overseeding, slit seeding and compost topdressing. When executed in the Fall, these services provide outstanding results in the Spring and months to come. Get easy and reliable fertilization services by contacting us today. We proudly serve residential and commercial customers throughout St. Louis, Missouri.